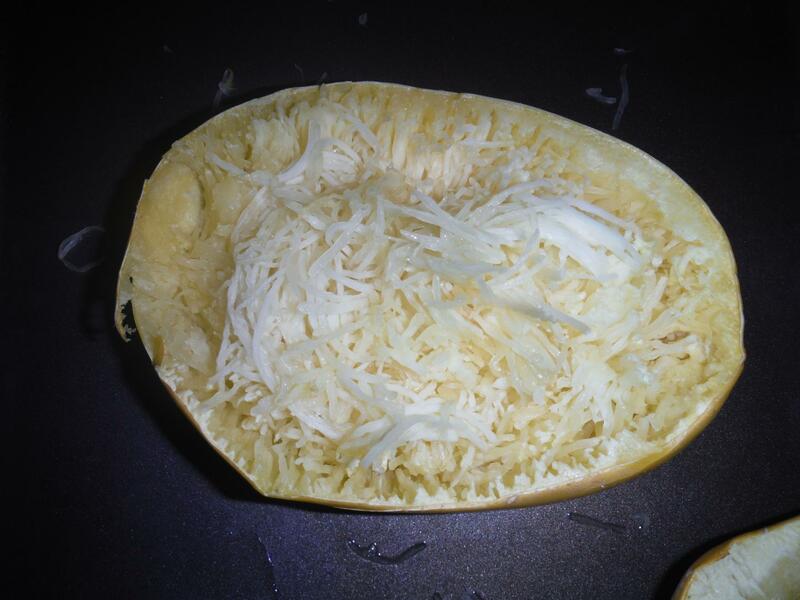 Alright, my first date with spaghetti squash wasn’t everything I hoped and dreamed it would be but I’ve come to love and accept it just like real spaghetti. 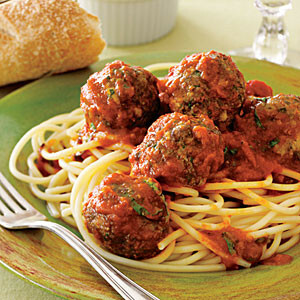 It’s surprisingly cheap and easy to make and goes AMAZINGLY with meatballs 🙂 First, preheat your oven to 350F. 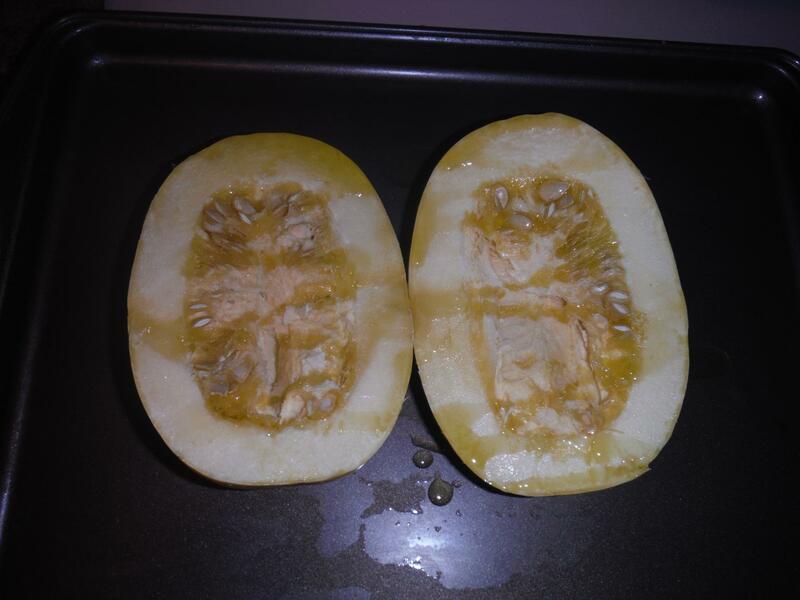 Place the squash onto a baking sheet. 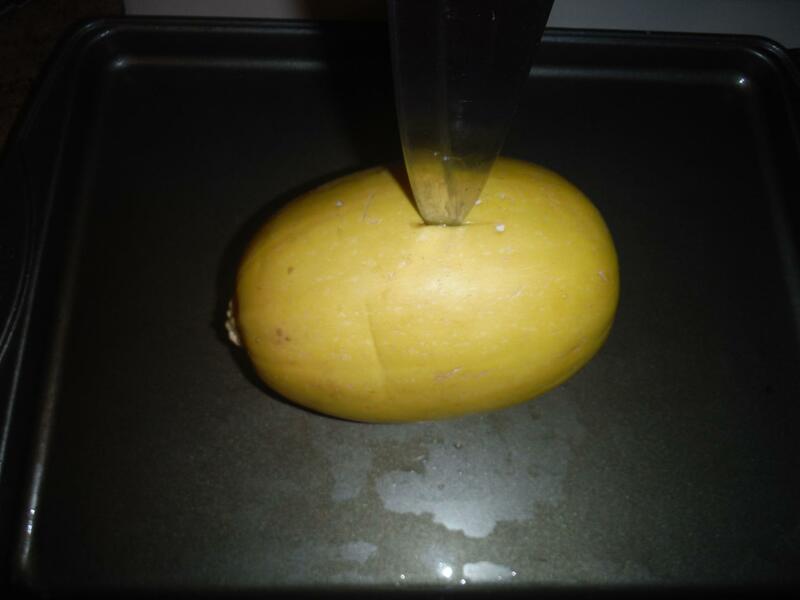 You can either pierce the squash with a knife and bake it or slice it in half. 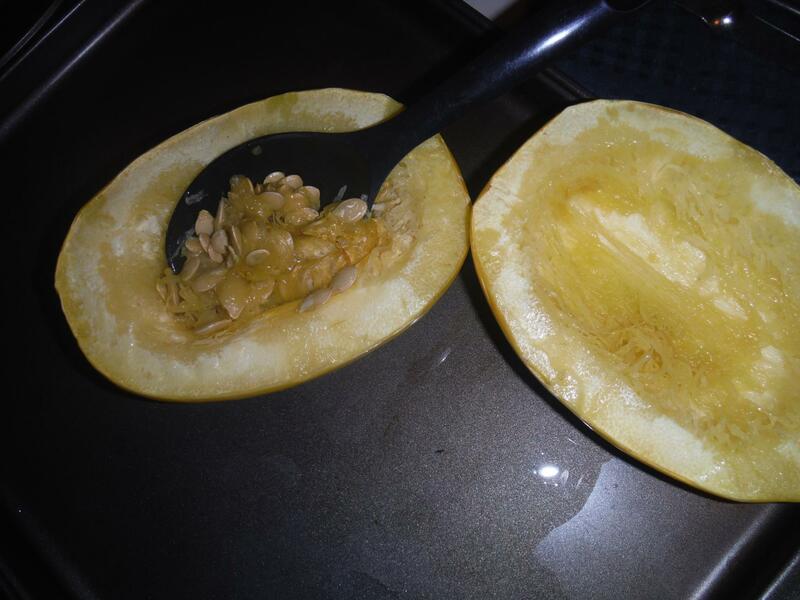 If you squash is still really hard and you can’t cut it in half, just give it a few good stabs so there are nice little vents when it cooks. After slicing my squash, I drizzled it with some olive oil and salt. 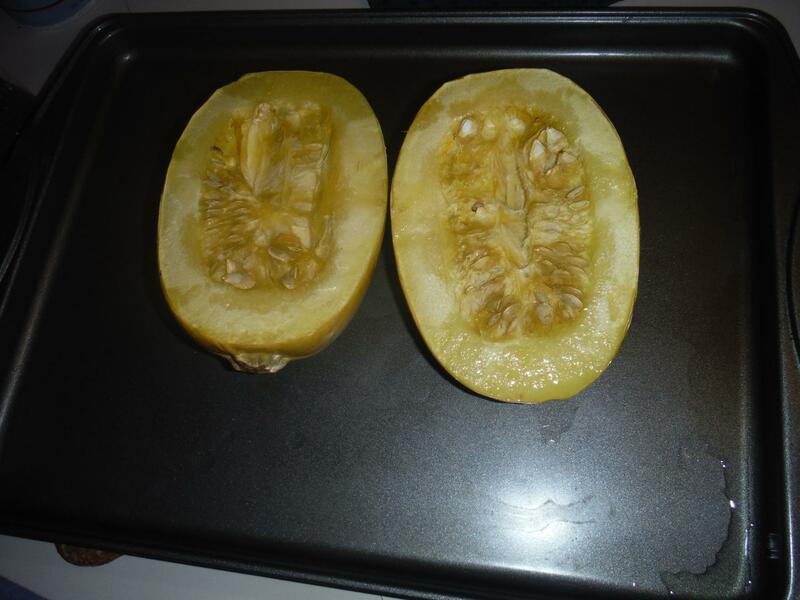 Bake for 30-45 minutes, depending on the size of the squash. Scoop out the seeds from both sides. I’m sure you could save and toast them, but I haven’t tried that yet. Using a fork, scrape the inside of each half. It should shred very easily, and if it doesn’t – throw it back in the oven for about 10 minutes more. 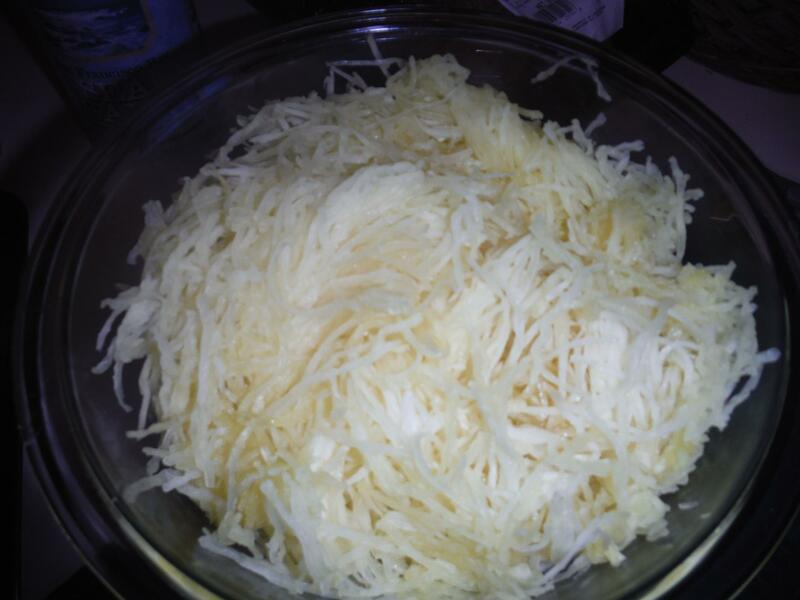 And there you have it – faux pasta. True, it doesn’t taste like pasta, but the flavor is light enough that it is masked by whatever sauce you eat with it. 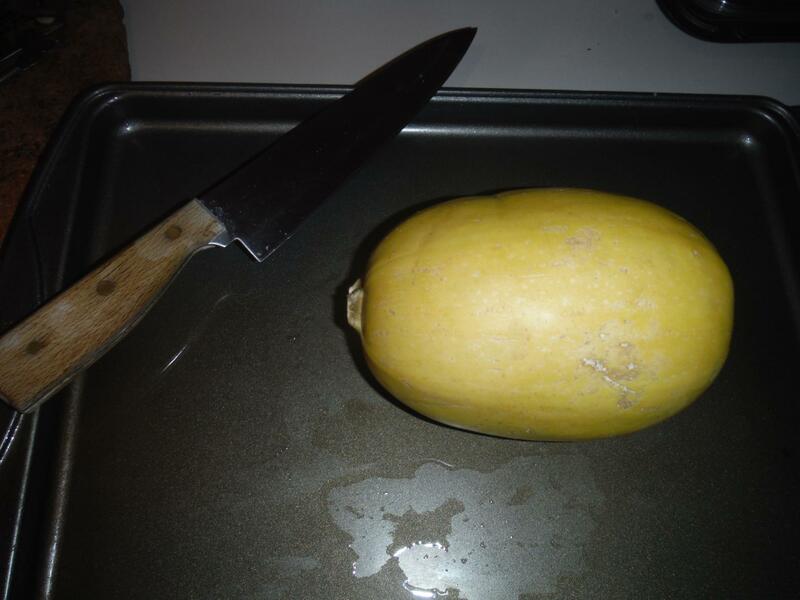 When serving, I like to heat up the squash in a frying pan with some olive oil and salt. It adds a nice crunch. Go forth and cook! Aloha!